Super Savings Item! Save 35% on the TRAM Amateur Dual Band Hi-Gain Hi-Power Magnet Antenna by Tram at Home Entertainment Centers Online. MPN: 11861. Hurry! Limited time offer. Offer valid only while supplies last. Choose tram for your next antenna installation Project and stay connected with this amateur dual-band hi-gain hi-power magnet antenna! this 37 in. Choose tram for your next antenna installation Project and stay connected with this amateur dual-band hi-gain hi-power magnet antenna! this 37 in. 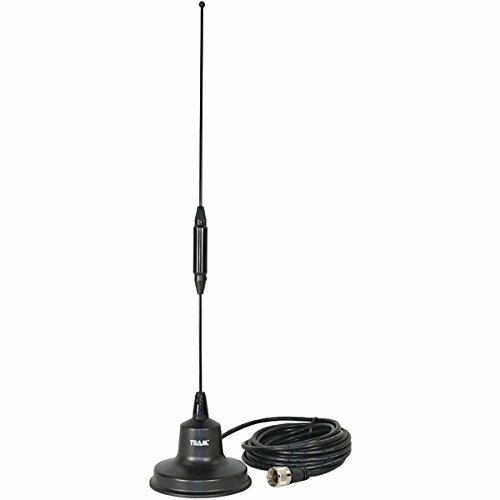 Antenna has 2 frequency ranges: 144Mhz to 148Mhz and 440Mhz to 450Mhz. The whip is black, chrome-plated stainless steel.